Rightline Gear camping and travel tip blog along with car top carrier, car back carrier, and cargo bag product development news. Please let us know if there is a topic you would like us to discuss! Great post. This topics are very helpful. Absolutely love the storage options you guys offer for Wranglers. Hoping to see more great designs soon!! I would like to know if a Sport 2 would fit my vehicle. My vehicle is not listed on your site. It is a 2015 Kia Sorento. Thanks!! Yes, John, the Sport 2 would fit on a Kia Sorento without any difficulty. I am going to be buying a teardrop trailer & was wondering if anyone had attached one to the side of the camper? Hello. We have had some individuals use our SUV Tent on the side of Teardrop Trailers with some slight modifications. 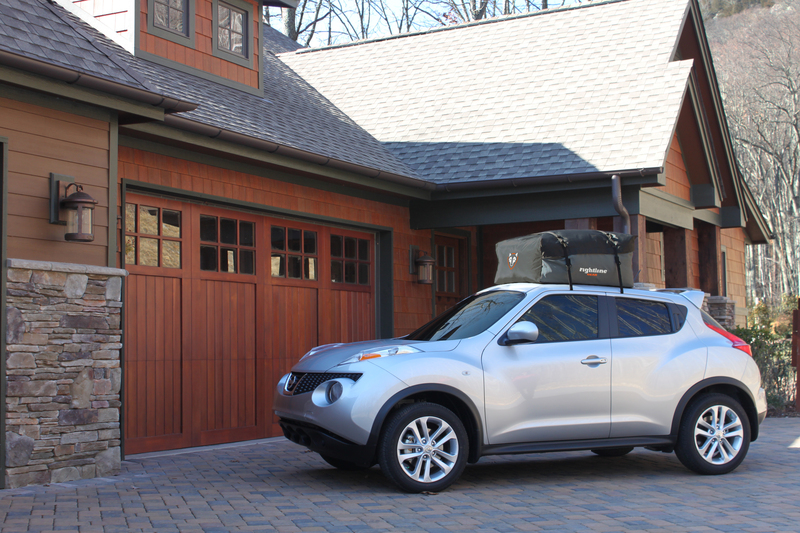 I have a 2014 mini cooper countryman without roof racks and a double sunroof so I was wondering if the Cargo Saddlebag is too big for my car. I am trying to figure out a way to carry stuff for for a trip with 5 people without the expense of a roof rack at this time. Hello. The Cargo Saddlebag features a design which is universal and can be installed on many vehicles. Customers have installed it on a Toyota Prius before! While we have not first hand installed the bag on a Countryman ourselves, the flat hatch design of your Countryman would most likely fit the Cargo Saddlebag well. Please give us a call at 888.685.GEAR for more detailed questions about the bag’s fitment to your Countryman. What is the largest size car top carrier I can use on a Subaru Crosstrek? Do you not sell replacement straps for the car top carrier? I see you sell the clip but don’t see the strap? Hi James. Yes, we sell replacement straps for our Car Top Carriers. We have both our new and old strap styles available. Please give our customer service team a call at 888.685.GEAR and we are happy to help get you some replacement straps. I just bought a 2019 Ford Ranger. Do you have a tent that will fit this truck? I believe it is a 5 ft bed not sure of the width. Hello Bob. We can confirm that our part number 110766 Mid Size Short Bed Truck Tent (5′) – Tall Bed truck tent will fit the new Ford Ranger 5′ bed. We are working to update all our info for this new truck. One thing to note, the (2) corner straps (“C” in the setup guide) will need to be connected to the bed’s wheel wells, not the outside lip. We are working to detail this in a blog article. If you have any questions feel free to call us at 888.685.GEAR. Thanks alot for the info since my wife and I really like the looks of your tents and wanted to get the right fit. I have a 2019 Chevy Malibu and I need to use the door hooks type straps but it looks like there is not enough door frame for the hooks to grab on to, have you dealt with this new model to know if the door hooks will work or not. Hello Herman. We are confident the Car Clips will fit your Malibu. The Car Clips attach to your vehicle’s rubber weatherstripping, and the door closing around them is what gives them their strength. If you can please contact our product development team at 888.685.GEAR we are happy to work more directly with you regarding the attachment of the Car Clips.